In many applications test voltages with 60Hz or varoius voltages are needed. 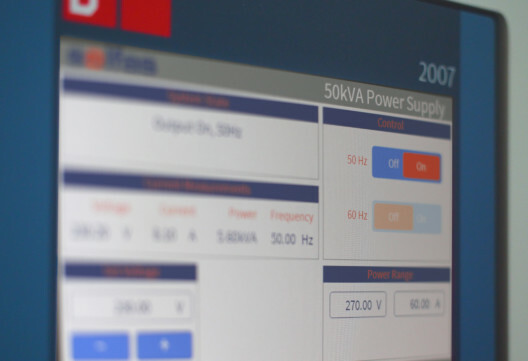 Solfas PSI1000 power supplies provide the ability to simulate all worldwide used mains voltages and frequencies. They are ideally suitable for routine tests of home appliances and other products for the global market. 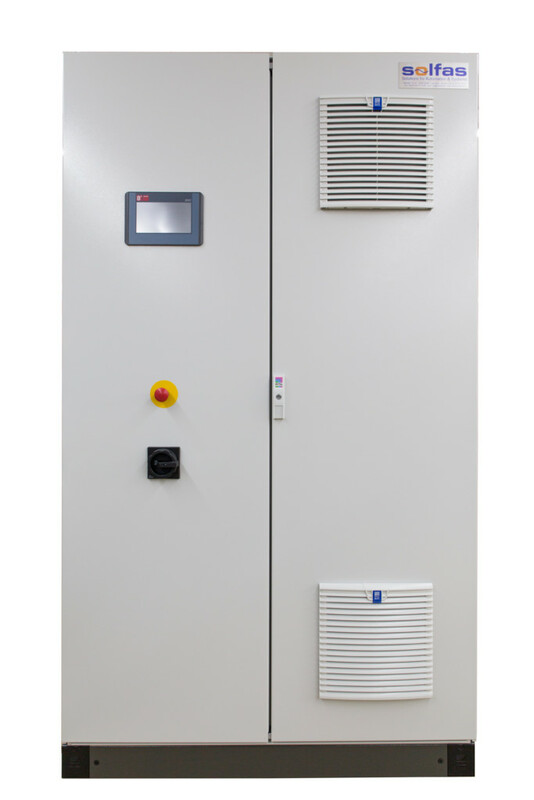 Thanks to state-of-the-art frequency inverter technology and high-quality components, the PSI1000 power supplies ensure efficient and reliable operation. The compact design and the small footprint allow great flexibility for integration and positioning. Two power ranges provide optimal adaption to higher current requirements at low voltages. 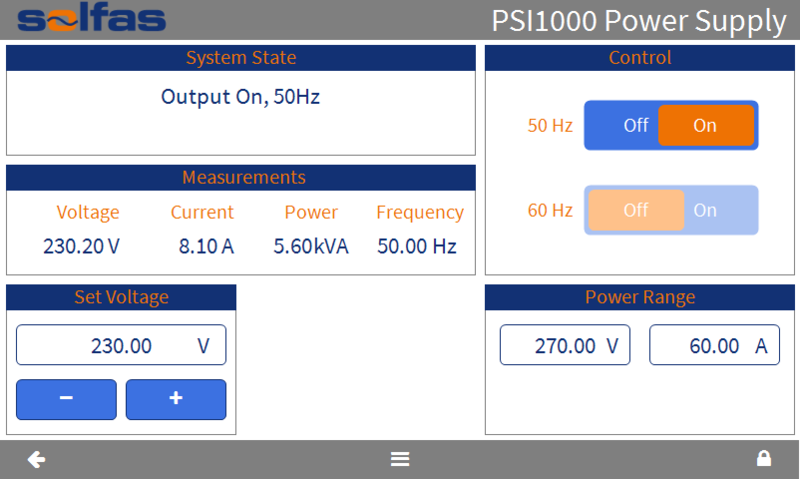 With sinusoidal output voltage and low distortion the PSI1000 power supplies allow qualified tests and precise measurements. The precise digital regulation ensures stable output voltage independent from line voltage and output load. This provides constant conditions for testing high quality products. Voltage, current and power are measured at each output phase. The system is protected against short circuit, overload and overtemperature.